Another iPhone 8 concept has made the cut, but this particular one focuses more on the software – iOS 11. It’s pretty much a given at this point that the iPhone 8 is supposed to feature an edge-to-edge display, according to the concept designers at least. We have seen numerous concepts thus far that feature a lot of cool stuff under the hood, but a lot of them don’t focus enough on the software bit. 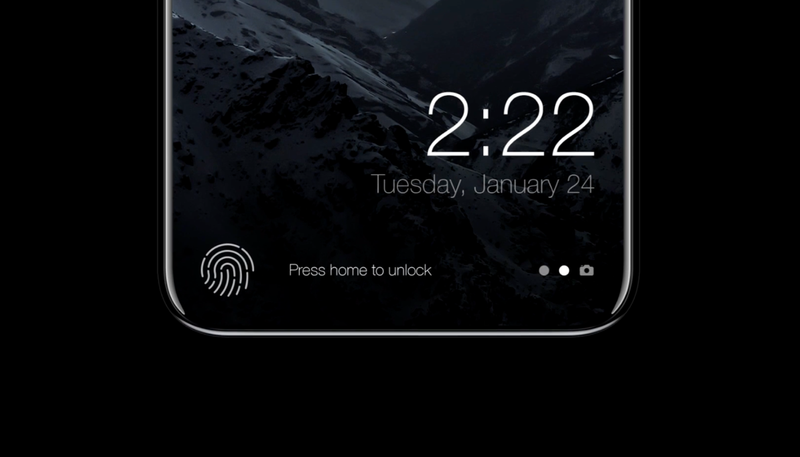 A new iPhone 8 concept, designed by Moe Slah, hopes to change all that since it focuses a lot on Apple’s upcoming software iOS 11. Check it out below. Kicking things off is the iPhone 8 itself with a gorgeous 5.8-inch OLED display. And just like every other concept out there, it features Touch ID that’s built right into the display. The designer then immediately jumps onto the software that will be powering the handset – iOS 11. Rather than bringing in a drastically new interface, the designer has evolved what is already there, giving everything a far cleaner look. The lock screen has been revamped with an ultra clean look, making it far more useful than it is currently. If your Touch ID fingerprint does not match with the one recorded in the device, you’ll see a warning in red there and then. Even the notifications look absolutely brilliant in this concept. They are as clean as they ever can be, and make more sense as soon as you glance at them. Since the display is larger, the designer thought it would be wiser to use that extra real estate in a more sensible manner. This gives birth to a home screen that does not feel crammed in at all. It even makes room for a giant clock to sit at the top, giving you a glance of the time no matter where you are on the home screen. The Control Center, probably everyone’s favorite in iOS, gets a revamp too. The controls look fresh, and even the music section looks wonderful. All in all it’s a wonderful concept that gets a lot of things right in iOS. We just hope Apple takes a few cues from this design, otherwise Cupertino’s upcoming flagship will feel quite stale in regard to the software it is running. Take note Apple. Now’s the time.